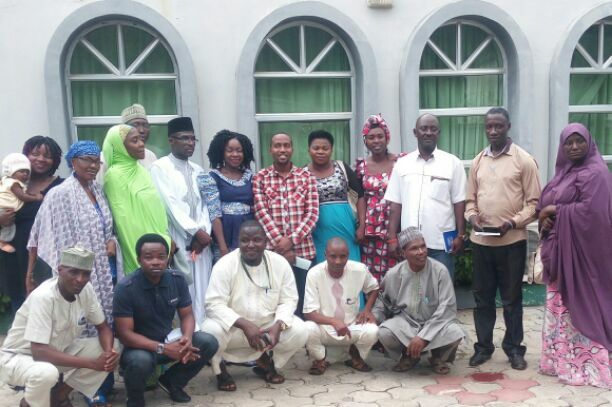 A Kaduna-based non governmental organization known as Africa Media Development Foundation (AMDF) on Tuesday organised its annual programme, Media Clinic for this year targeting journalists most of who report from Kaduna. The programme, which started in 2015 has been made annual event where critical stakeholders especially media executives have been coming together courtesy of AMDF to discuss issues in journalism especially with emergence of social media. Coordinator of AMDF, Sekyen Dadik said, her organization placed much value on qualitative reporting include training of journalists with a view to addressing many issues as they affect humans existence today but can be successfully managed by the media. She said with emergence of social media, the time has come for journalists to take the centre state and not leaving it in the hands of quacks. A media expert, Iliya Kure while speaking on the theme of the media clinic, “Ethical journalism in the wake of social media” noted that, social media emergence has paved way for fake news some of which have degenerate into conflict among interest consumers of such fake news. He highlighted intentional deceptive, jokes taking a face value, humour sites like the Onion or Daily Mash present fake news stories, large scale hoaxed, stunted reporting of real fact and stories where the “truth” is contentious as some of how fake news emerges. Publisher, Trace Reporters, Lola Idahosa who participated in the clinic described the training as eyes opener saying, it has opened her eyes to how she could engage social media platforms to reach more audience regarding information dissemination in 21st century. “As a journalists and an online publisher, it has open my eyes to other aspects of what I do. It will also help us to improve on our image as online medium operators especially with emerging social media. “We also need to know who is doing what. We have not been found wanting so far I meant those of us here in Kaduna. Kaduna is a big place to practice the profession thereby training and retranng of journalists are very germane”, added the publisher.